This total skills camp will be conducted by Hardball Academy professional coaches. 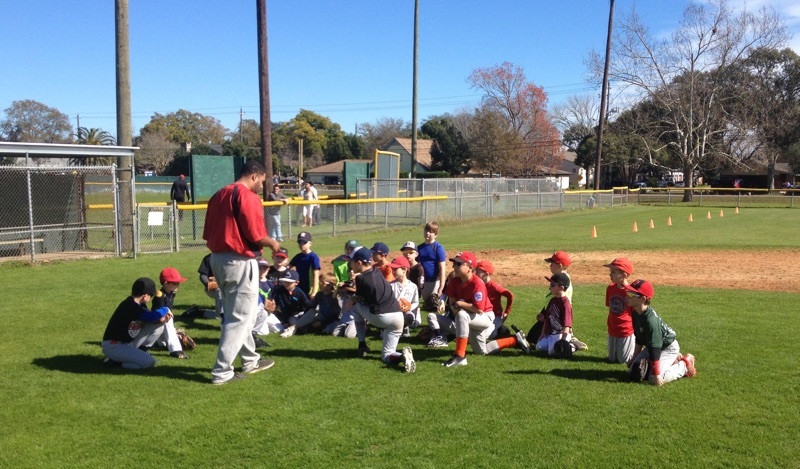 The camp will include hitting, fielding, throwing, base running, sliding, and more. Likewise, we have over 2 dozen games that teach hitting, fielding, throwing, and base running skills. The camp is also designed to help teach players how they can train on their own and improve their skills while having fun, and adding competition to their training. We know if players can add these aspects to their training, they will train more often, have a better outlook about training, and will find a love for the game. I understand that there is an inherent risk associated with playing baseball. I understand that Hardball Academy and any of their employees or coaches will not be responsible for injuries, lost or stolen equipment, or any other type of accident or injury that may occur. Likewise, any facilities used by Hardball will not be held liable for any accidents or injuries. By Submitting this form, I acknowledge that my son or daughter has adequate medical coverage that will provide for him/her in case of accident or injury. I also give Hardball permission to take photographs during the camps for advertising purposes. Pay now to complete registration! Copyright 2019 - Hardball Baseball Academy LLC.